The patient decides! The patient holds the power in determining whether or not your product is a success. Let us help you gain the trust of your patients. We have years of experience in counseling patients in medical practice and know how to address patient concerns. 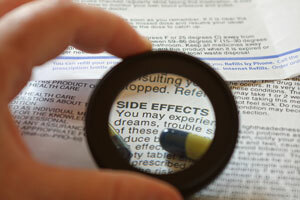 Too often we think that the patient will follow the physician’s instructions when a medication is prescribed. This is not true. Up to 20% of patients decide right in the doctor’s office they are not going to fill the initial prescription. This is called intentional patient nonadherence. The challenge is to help physicians and pharmacists guide the patient through the various steps so that the patient can decide whether or not they want to fill the prescription and take the medication. This is the step most product managers are missing and why their products are not successful. The Consumer Health Information Team of health professionals and patient education experts will help your product team develop high quality patient education materials that will improve patient adherence. We have been extremely successfully in helping our clients increase their sales 50% in 6 months because we know how to identify and develop strategies that will improve patient adherence with a specific medication. Our team also has years of experience in medical practice and knows how to communicate effectively with patients. Our team also knows what health professionals need to help them effectively counsel patients in a minimum amount of time. We will develop health professional counseling tools that will help physicians provide effective patient counseling and save them time.